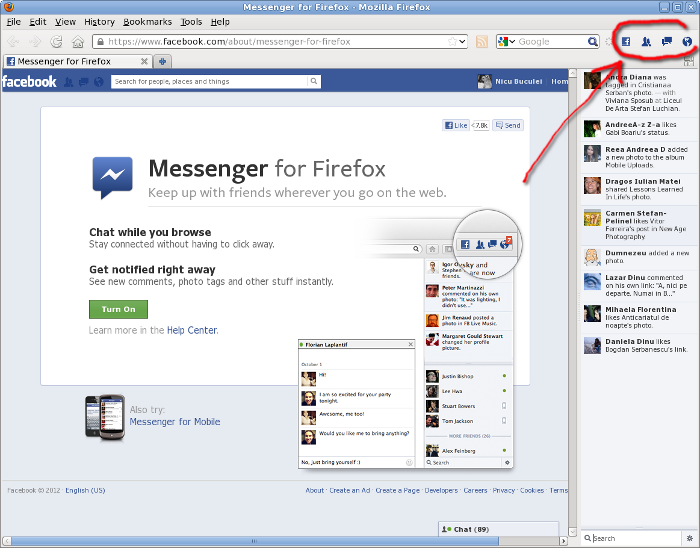 The most talked and hyped feature in Firefox 17 is the social API, intended to bring integration with various services in the browser. Knowing the first release will come (only) with Facebook integration (and knowing Facebook's history), I expected it to be a disaster, with potential to kill the idea... so as soon as Remi's repo provided the packages, I yummed them to see what is all about. The sidebar will stay on while browsing other sites, but is already a problem: it has a certain (large) minimal width, and if your browser window is not big enough, the layout of many other websites will be messed-up (arguably, is their fault for not flowing correctly). Forget about it on a small display, like a netbook. I find the sidebar one of the (too many) Facebook's most annoying features, it make content move all the time in front of your eyes,fortunately you can remove it. 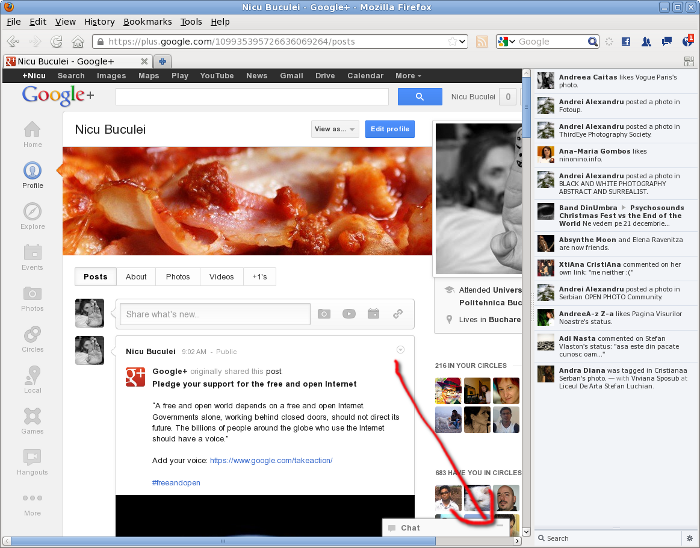 Just imagine a browser window with such sidebars from all the social sites you use: Facebook, Google +, Twitter, Flickr and such. What space is left for the actual page content? 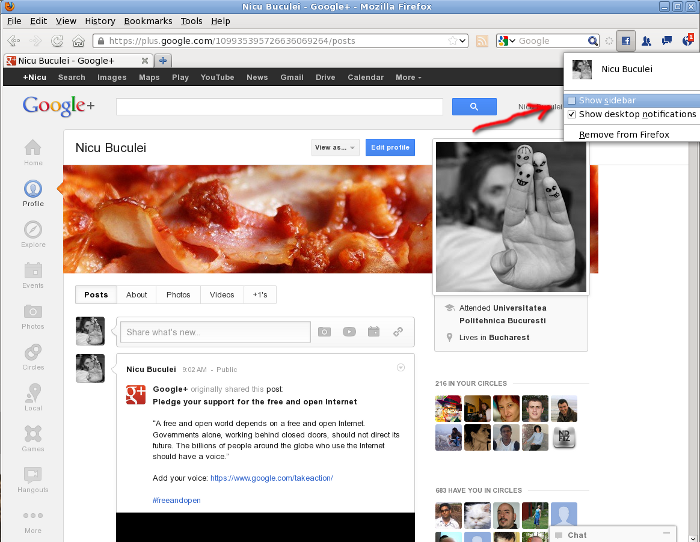 Another annoyance: 4 buttons were added to the toolbar. 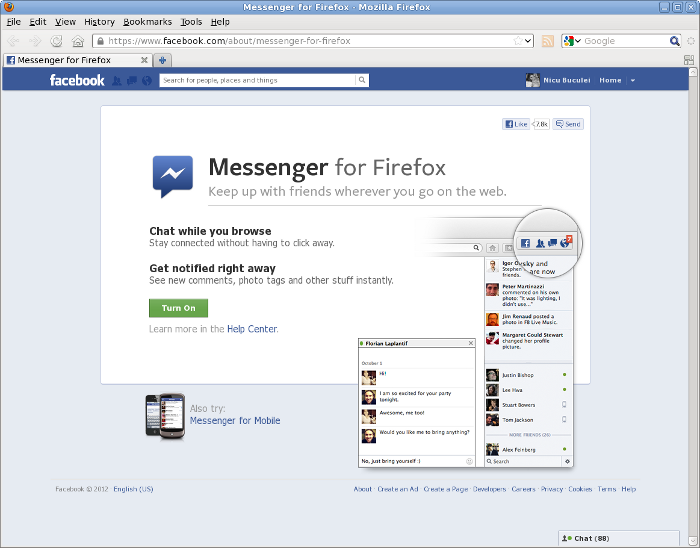 While the notification an chat may be useful al the time (hint: install Pidgin, configure its Facebook chat with Jabber and you don't need the in-browser fb chat, how many a day are you going to use the friends or config buttons? 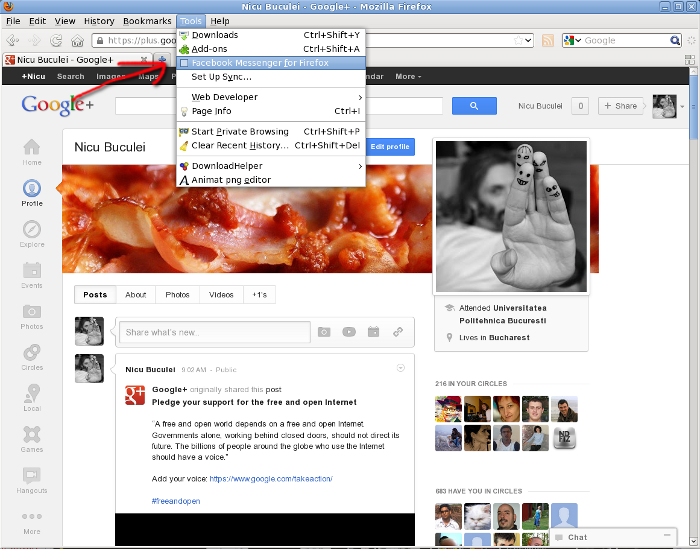 Unfortunately, you can't customize which buttons are shown. 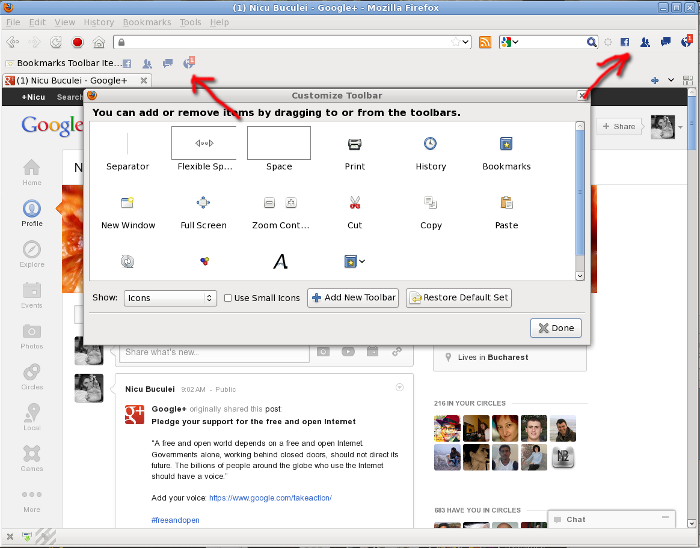 As you can't customize either their position: open the Customize Toolbar dialog and you can drag them around, but they won't land anywhere, only stay in place. What you can do is head to the Tools menu and disable it (you can also remove it, but maybe I will need it later if a reader will flame me in the comments). Again, imagine the menu if/when you have 10 such services installed. Is too early to say, I upgraded Firefox only this morning and had enabled the fb integration for a short while, but I felt a browser performance degradation with it on (resource-consumption wise, Facebook IS a pig while browsing normally, not unlikely for the widget to be too).